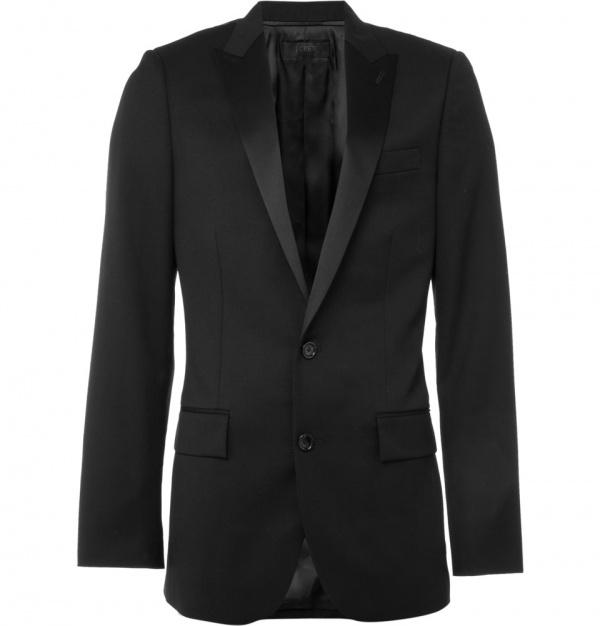 Two button black wool tuxedo jacket from J.Crew with satin peak lapels, two flap pockets, a chest pocket and double vents. 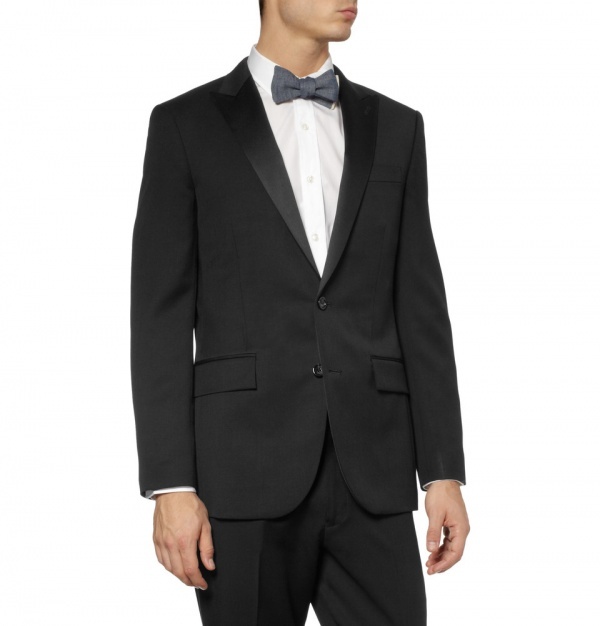 Designed to be worn as part of a suit with the matching trousers, this sharp tuxedo will look effortlessly dapper worn with a bow tie. 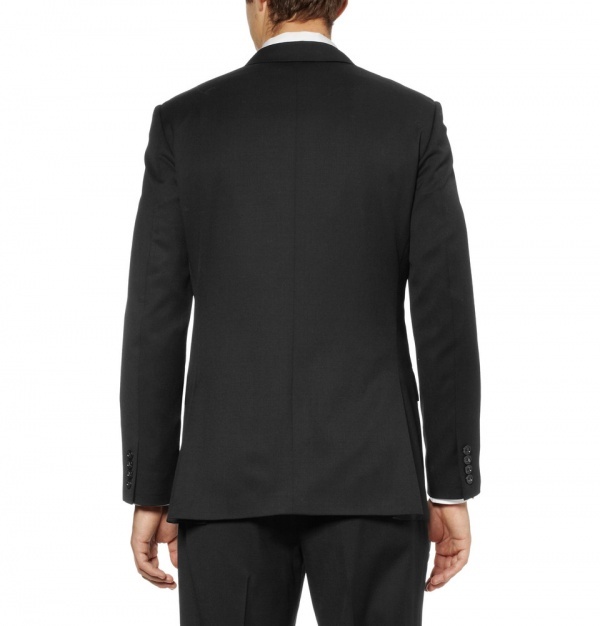 This entry was posted in Black Tie, Suits and tagged J Crew, Ludlow, Tuxedo. Bookmark the permalink.